Scott Schultz works as the assistant farm director at WAXX 104.5 radio and will expand into other news-related roles at Mid-West Family Broadcasting’s Eau Claire stations. He’s earned awards in news-writing, feature-writing, headlines and design during more than 40 years in the newspaper business. Schultz was raised on a dairy farm near Loyal. His journalism career started while serving in the U.S. Marine Corps, where he studied journalism at the Defense Information School and through Indiana University, the University of Missouri and Pepperdine University. He worked as a combat correspondent, public affairs non-commissioned officer and base newspaper editor. After returning to Wisconsin, he worked for daily and weekly newspapers in Abbotsford, Marshfield, Loyal, Whitehall, Neillsville and Eau Claire. That work included a 23-year stint as a regional editor and managing editor of The Country Today, an Eau Claire-based publication which was Wisconsin’s largest paid-subscription rural-life weekly newspaper. 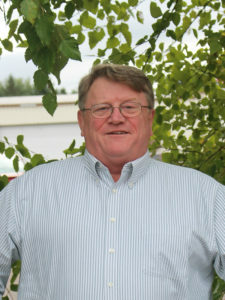 During that time, he founded a nonprofit educational organization, The Heartbeat Center for Writing, Literacy and the Arts, Inc.
Schultz briefly left journalism to work for two years as executive director of the Wisconsin Farmers Union and to give more attention to his nonprofit work. Through The Heartbeat Center, Schultz founded The Pulse, a free-distribution weekly newspaper that went to 13,000 homes in the region south of Eau Claire. Publication of The Pulse was halted so the nonprofit’s resources could be refocused on its educational mission. He and his wife, Dee Beasley, operate The Heartbeat Center on the Eimon Homestead farm along Eimon Road between Pigeon Falls and Osseo. Schultz often lectures about writing and creativity in elementary, secondary and post-secondary schools and at the Heartbeat Center. Essays, newspaper stories and photographs by Schultz have appeared in several state and national publications and have been used in a national rural life project. A collection of his essays was organized into the book, “Rural Routes and Ruts: Roaming the Roads of Rural Life,” which has been used in universities’ creative writing, rural sociology and library science programs. He continues work on other book projects, including “Rural Rerouted,” another collection of his essays. Schultz also coached high school wrestling and football for more than 20 years, and as a Wisconsin Interscholastic Athletic Association wrestling and football official. His community work has included local, county and regional economic development projects, including initiating proposals for siting the Wisconsin Vietnam Veterans Memorial -- which became The Highground veterans’ memorial park -- near Neillsville. He also served on the state Department of Public Instruction’s Council for Rural Schools, Libraries and Communities, and on the Marshfield Clinic Medical Research Foundation Personalized Medicine Advisory Committee. He’s a past-president of the Central Wisconsin Press Club, and has served on the National Farm Medicine Center Advisory Council, church councils in Greenwood and Pigeon Falls, and several communities’ chambers of commerce.